Hsu CS, Kao JH. 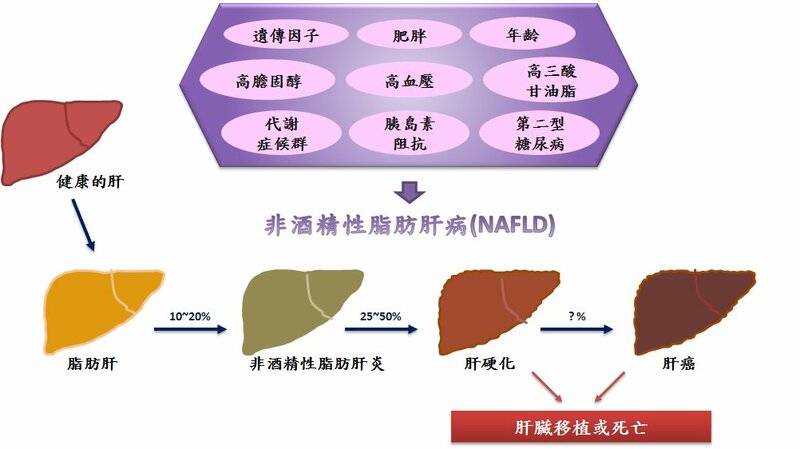 Non-alcoholic fatty liver disease: An emerging liver disease in Taiwan. J Formos Med Assoc. 2012:111:527-35. Barbara M, Scott A, Alkhouri N. New insights into genetic predisposition and novel therapeutic targets for nonalcoholic fatty liver disease. Hepatobiliary Surg Nutr. 2018 7:372-381. Moore JB. Non-alcoholic fatty liver disease: the hepatic consequence of obesity and the metabolic syndrome. Proc Nutr Soc. 2010:69:211-20. Dibba P, Li AA, Perumpail BJ, John N, Sallam S, Shah ND, Kwong W, Cholankeril G, Kim D, Ahmed A. 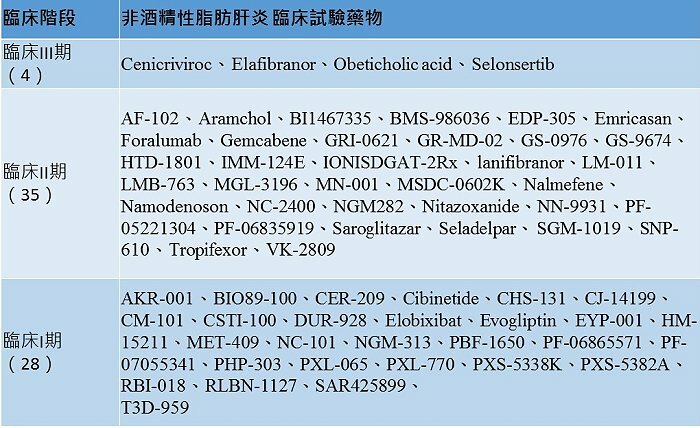 Emerging therapeutic targets and experimental drugs for the treatment of NAFLD. Diseases. 2018:6. pii: E83. Connolly JJ, Ooka K, Lim JK. Future pharmacotherapy for non-alcoholic steatohepatitis (NASH): Review of phase 2 and 3 trials. J Clin Transl Hepatol. 2018: 6:264-275. Mudaliar S, Henry RR, Sanyal AJ, Morrow L, Marschall HU, Kipnes M, Adorini L, Sciacca CI, Clopton P, Castelloe E, Dillon P, Pruzanski M, Shapiro D. Efficacy and safety of the farnesoid X receptor agonist obeticholic acid in patients with type 2 diabetes and nonalcoholic fatty liver disease. Gastroenterology. 2013:145: 574-82.e1. Oseini AM, Sanyal AJ. Therapies in non-alcoholic steatohepatitis (NASH). Liver Int. 2017:37 Suppl 1:97-103.